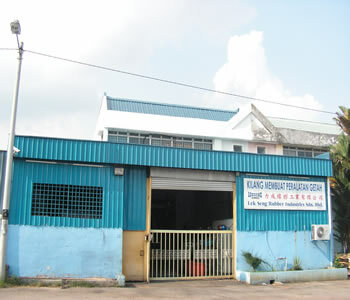 Lek Seng Rubber Industries Sdn Bhd was founded since 1994 for the purpose to become a leading distributor and service provider for the Electronic, Automotive & Engineering industry. Through cooperation with manufacturers from Singapore, Lek Seng Rubber Industries Sdn Bhd quickly achieved a name of excellent application and product support. Today, Lek Seng Rubber Industries Sdn Bhd is well recognized as supplier of advanced products in Malaysia and also for most countries in South East Asia. Our mission is to developing long term customer relationship and dedicated to meeting or exceeding the highest expectations of our customers through product innovation, continuous improvement and complete customer satisfaction. The goal of our sales team is to solve new industry problems and we always welcome suggestions and request from our customers. We make recommendations designed to achieve the specific results customers may be looking for a quicker turnaround and lower operating costs. To provide excellent service and quality products to our customers in time manner. To be a source of assistance in solving customers manufacturing problems. We're dedicated to meeting or exceeding the highest expectations of our customers through product innovation, continuous improvement and complete customer satisfaction. Dedicate to support our present and future customers base. Developing long term customer relationships.